For people who suffer from chronic wounds, the healing process can be long and frustrating. The Center for Wound Healing and Hyperbaric Medicine at Lakewood Ranch Medical Center uses advanced medical techniques to help the healing process for wounds that don’t heal through conventional methods. To schedule an appointment, call us at 941-782-2830, Monday – Friday, 8 a.m. – 5 p.m. There are different types of chronic wounds. Typically, a wound that does not respond to normal medical care within 30 days is considered a chronic wound. Some non-healing wounds are associated with complications from diabetes or other vascular-related disorders, such as inadequate blood circulation or poorly functioning veins. Up to 15 percent of the estimated 17 million Americans with diabetes may suffer from chronic wounds. The most common of these wounds are non-healing foot sores, which could lead to amputation if not treated correctly. The Center for Wound Healing and Hyperbaric Medicine has been recognized with a Center of Excellence award by Healogics for the second consecutive year. 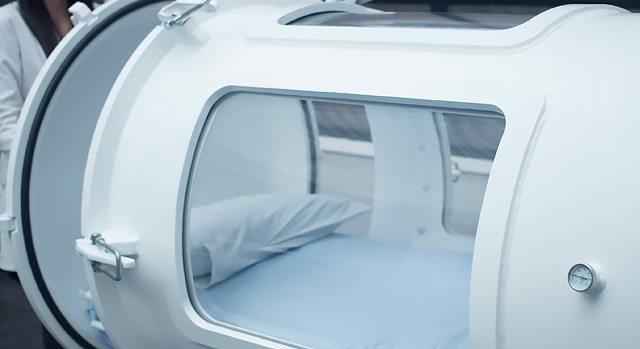 You must make an appointment to receive treatment at The Center for Wound Healing and Hyperbaric Medicine. Most patients are referred by their primary care physician. During your first appointment, a physician will identify your wound and evaluate your health status to determine what treatment is necessary to help heal your chronic wound. The size and depth of your wound will be documented during your initial visit, and again during each subsequent visit. When you begin your treatment plan, you will need to visit the center on a regular basis for specialized treatments and documentation of your healing progress. You will also be educated on how to manage your wounds at home between visits, as well as how to protect your wound from further injury. It is very important to remember that you are an important part of your healing process. Keeping appointments and following directions are critical to attaining a positive healing outcome. Physicians: Download a copy of the Center for Wound Healing and Hyperbaric Medicine referral form. Please fax completed Physician Referral forms to 941-782-2519. Patient Hours: Monday – Friday: 8 a.m. – 5 p.m.